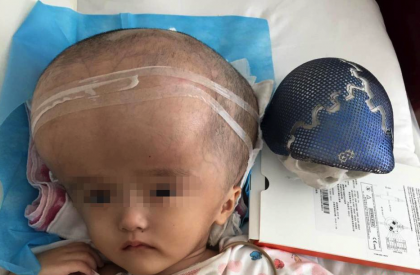 After a 17-hr long ground breaking journey, a toddler in China who was suffering from hydrocephalus, which causes excess cerebrospinal fluid in the brain, has her skull reconstructed now; the first time using a 3D-printed skull technology. Han Han, the toddler, had a brain three times the size of a normal brain, and had recently lost her vision due to damage of the optic nerve because of infections, and her excess weight. She is reported to be recovering steadily after the 3D-printed titanium alloy skull was implanted, becoming the first person to have her cranium successfully reconstructed by 3D printers. The successful surgery was conducted at the Second People’s Hospital of central China’s Hunan Province and is under observation, and a neurosurgeon Kuang Weiping, was in charge of the whole treatment. Kuang said they believed her skull was likely to rupture as infected parts became thinner and only the “brain-shrinking” operation could save her life. 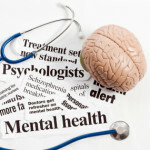 During the process, neurosurgeons peeled her scalp and skull, then drained the fluid in her head. After the swollen structures in her brain returned to the normal size, they implanted the donated artificial skull and covered it with her scalp.